Most common in the areas of your home that are exposed to a lot of moisture – particularly the bathrooms and the kitchen, damp and mould can also be the cause of leaking pipes. Before you take action in an effort to treat the problem, you need to identify its source in order to prevent re-occurrence. Once you have done so, you can proceed to remove the mould yourself - as long as it covers an area that is less than 1m2! If the problem area is larger than that, it is best to call on the professionals for assistance. Begin by removing all of the surrounding objects – if any of these objects have been affected by the growth of mould, set them aside in a plastic bag and attend to them at a later stage. Remember that any clothing that has been affected by mould will need to be professionally dry-cleaned. Add warm water to a medium-sized bucket and mix in some liquid dishwashing soap. Dip a soft cloth into the solution and use it to wipe away the mould from the walls and roof. Once all of the mould has been removed, ensure that you dry the wet areas with another cloth in an effort to prevent re-growth. Throw away all of the cloths that have been used, and immediately clean and vacuum the room in which the mould was present in order to get rid of any spores that could start to spread throughout your home. 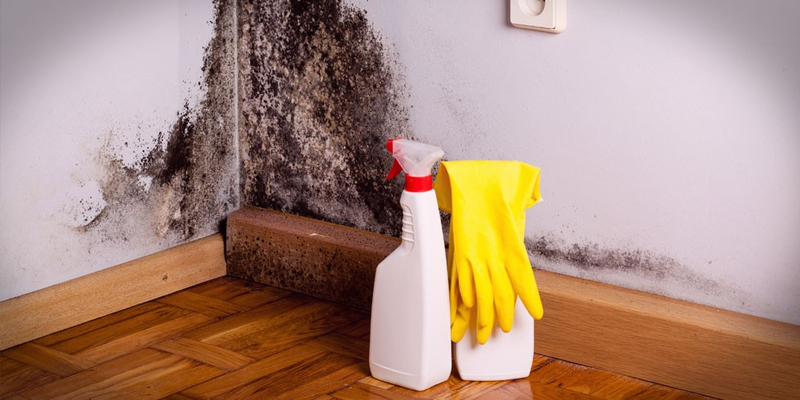 Once you have rid your home of damp and mould, you will want to do everything in your power to prevent it from recurring in the near future. Ensure that all rooms are well-ventilated, especially after having been exposed to a lot of moisture. After cooking, bathing or showering, open up all windows and doors and only close them once all of the moisture has escaped. In order to speed up the ventilation process, switch on a fan. If possible, avoid showering or bathing in piping hot water – opt for lukewarm instead. Less steam will be created, hence less moisture will accumulate. Also be sure to keep the lids on all pots and pans whilst cooking to prevent the release of excessive steam. For more tips on dealing with common household emergencies, such as damp and mould, be sure to download the latest MiWay eBook entitled “The Household Emergencies Handbook”. Don’t forget to do your bit to ensure the protection of your home and its contents – invest in reliable home insurance from MiWay today.